Keeping in mind the precise demands of clients, we manufacture and export a wide range of Hi Visibility Clothing. 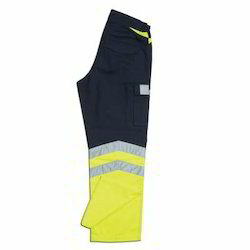 Further we offer these Hi Visibility Clothing at most competitive prices. The offered Clothing range is available in various colors, sizes and designs. We offer Combi Trouser to our clients, for varied industry uses. These Combi Trouser are made of high grad fabric which gives it a durable character. It is tough enough to avoid accidents at working conditions. Our range of Combi Trouser are successfully being used in all kinds of industries. 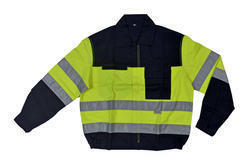 We are engrossed in manufacturing, exporting and supplying top-in-class¿¿Fluorescent Combi Jacket. 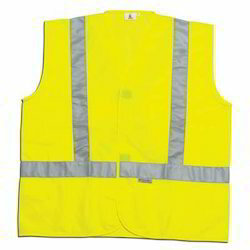 We are engaged in manufacturing and exporting a wide gamut of High Visibility Vest. In addition to this, we are providing this range in various sizes and designs to meet the distinctive requirements of the market. our High Visibility Vest are available in different parameters including size and color according to client’s requirements.